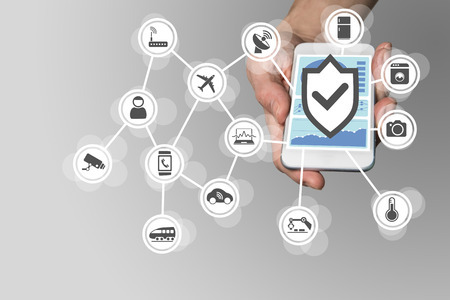 When it comes to the Internet of Things, ensuring that cybersecurity is properly interconnected involves finding the newest security solutions. Devices that are procured (and how they are distributed throughout a business) should be approved by professional security personnel who know what to look for. Certain IoT devices will have vulnerabilities where others do not. For example, you may find clients who have a bad taste in their mouths because they got a great deal on wearable “bands” which go on a person’s wrist and connect to the web. But if they were able to get a great discount on those bands because those bands were after-market (or several generations behind the current models), then those bands represent a security hazard for your clients. This means selling such devices to clients could cost you your business in the long run through the fallout from cybercriminal elements exploiting more vulnerable networks. This is a selling point which can help explain to clients certain pricing models. Though those in procurement may think they get a great deal by purchasing discount bands, in reality, they’ve opened up their business to thousands in losses through ransomware or other pernicious cybersecurity threats. Meanwhile, newer bands that do the same thing, but cost more due to their added digitally protective design, will end up costing operations less money in the long run. IoT security can help make that happen if it is properly aligned with procurement— and this is integral for any IoT CEO to incorporate into outbound marketing as well as service provision. There are many common mistakes that can seriously undermine operations, and with the compliance regulations in place today, getting ahead of those mistakes is instrumental. This is yet another reason that outsourced security solutions are recommendable. Because of HIPAA, many IT agencies providing support for healthcare industries are under something called shared liability. This is just what it sounds like. Basically, if a compliance fine is slapped on a healthcare institution, the group that secures the institution is likewise responsible. If you’re providing security for IoT so you have more satisfied clients, you need to be aware of this and act accordingly. Your IoT organization may have some level of HIPAA liability because of security concerns. If this isn’t the case now, there’s a large possibility it will be the case soon— keep your fingers on the pulse of such industry changes. Oftentimes, data isn’t encrypted as it should be when it is transferred from an IoT device to a given network, which can usher in malware of varying kinds. Encryption can prevent this for the most part, but sometimes something will still get through. This is where intrusion detection and prevention software come in. These can stop a lot of intrusions, but there are some which will still go under the radar if proactive monitoring solutions aren’t brought to the table so that anomalous activity can be detected. Multi-phase authentication ensures users like physicians and nurses don’t accidentally compromise systems through lax access habits. If your IoT company has cybersecurity properly coordinated, you can help clients avoid many breaches. If you supplement such practices with commonly known effective security measures, you can additionally avoid compliance issues. IoT security has many complications defining it, but it is possible to have a secure system which decreases operational costs and expands profitability. Demonstrate this to clients for greater conversions.